Discussion in 'Off-Topic Discussion' started by krap22, Dec 16, 2011. And where it's everyone buying Bookers?! 916carl and bvbull200 like this. trekker, TRD-ED and Misplaced Nebraskan like this. Ensemble88, bvbull200 and TRD-ED like this. 3" Lift, 285/70/17 BFG KO2's 17X9 RaceLine Raptors wheels NFAB Nerf bars BackFlip bed cover OPT7 LED Headlights VLed Switchback LED daytime running/turn signal bulbs Toyota XSP Led Daytime running lights Pioneer 2400nex RockfordFosgate P400 4Channel Amp JBL GTO Premium 939's 6X9 Front doors JBL GTO Premium 529's 6" Rear doors 4 JBL GTO19T Premium component Tweeters RockfordFosgate P400 1 Channel Amp Kicker Comp RT 12" Sub woofer Weathertech Floor liners DC Sports Stainless Steel exhaust tip Clazzio Custom Leather Seat covers Red Stitched TRD Automatic shift knob. Devil Horned Toyota grill emblem "Diaz Fabrication" Cali Raised LED Fog Light Pods with Apex Fabworx mounts. The local ABC stores here in Central NC. They almost always have Booker's. Never any Buffalo Trace, Blanton's, E.H Taylor or any other BT product. Except for Eagle Rare. You can at-least find it about 90% of the time. Buffalo Trace showed up here again, after being absent for a couple months. I'm collecting a stash! Must be nice. They limit us to one bottle a customer when it comes to town every 3-4 months. Never Never Modify! Keep it aggravation free! Finally found old Forester 1920. 916carl and Misplaced Nebraskan like this. drjenkins, dumontrider and bvbull200 like this. I need to try this one out, Ive seen it around quite a bit down here. Popped open my bottle of Yellow Spot over the weekend and I'm really liking it a lot. Love that it's a bit higher proof than normal Irish @ 46%. Gives it just a little extra touch of warmth going down, very nice. Still need to pop open my Pedro Ximenez sherry and try it. Wanted to have some and see if it'll help me identify that note in various whiskeys. 916carl, stbear, Ensemble88 and 1 other person like this. Agreed. 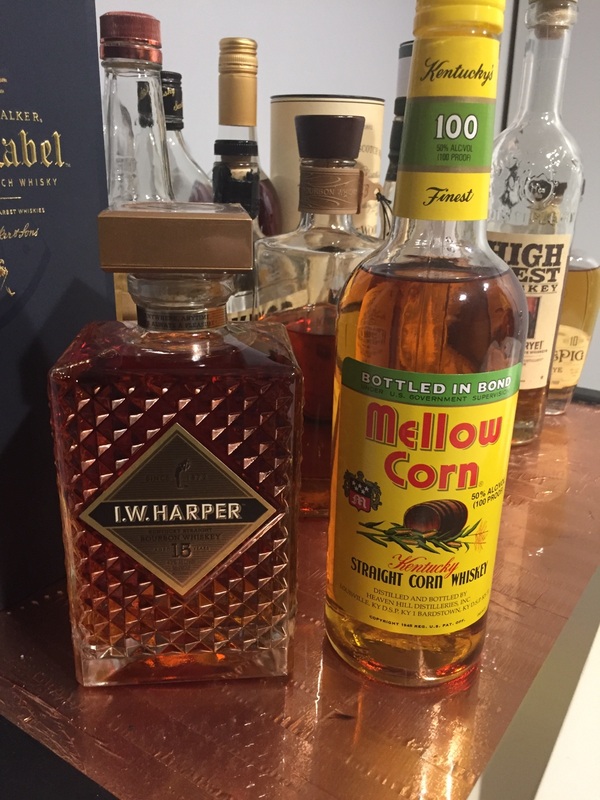 It is between Evan Williams and Very Old Barton for my favorite cheap (non-wheated) bourbons. I picked up a bottle of the Evan Williams Bottled-in-Bond from the Heaven Hill distillery. I've heard it is good, but haven't opened it, yet. Only a few dollar premium over that black label. TRD Sport Exahust, OEM roof Rack, Predator Pro side steps. I think the bottled and bond stuff is interesting. I've only had a couple. McKenna and something else I don't remember. But the history behind them is pretty cool. Picked up these two on Saturday. And building my collection. I did have Hibiki and Woodford Reserve but polished those off. A year ago I only had 1 bottle of whiskey. And now I am all into looking at watches. Damn Tacoma World. Always spending my money even if its not on my Tacoma. ha-ha. Misplaced Nebraskan, 916carl and dumontrider like this. I didn't like the IW Harper 15 year when I 1st opened it. Thought...what a waste of $75. Went back to it after it had breathed for about 2 weeks and it really opened up. Good stuff with lot's of Oak. keith88lx, dumontrider and cafereef like this. It doesn’t help at all. 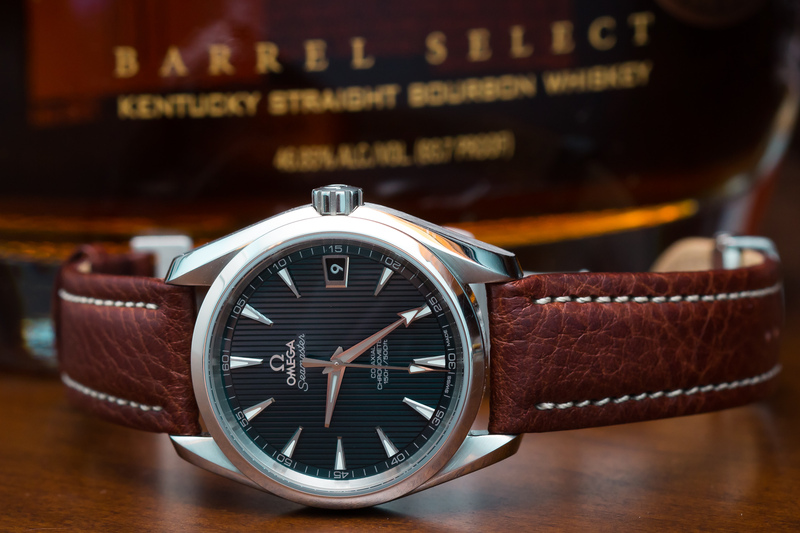 That is one nice omega. Went to Indianapolis this weekend for another volleyball tournament with my daughter. We made a stop along the way. Found a couple I haven't had before and I couldn't say no to a backup bottle of Buffalo Trace. Funny story as well. I went in to a very nice newer liquor store with my daughter. They never really seem to care as long as she does not touch anything. I carried up my soon to be purchase to the counter and the sales associate asked for both of our id's. I laughed and asked how old he thought she was. He said early twenties. I said, 13. He asked her to go stand outside and didn't seem too happy about me bringing her in. He said that she must be at least 21 to enter per state law. I apologized saying that we are from Ohio and that isn't an issue there. I will have to remember that next time I go to Indiana. BearfootGypsie, nDub, 916carl and 2 others like this. Every time I open a new bottle of Mitcher's I ask myself. Why do I keep buying this god awful Bourbon. About 2 weeks later I try it again, after it's had time to open up. Then I remember why I keep buying it. Goood stuff!! BearfootGypsie and randd like this. 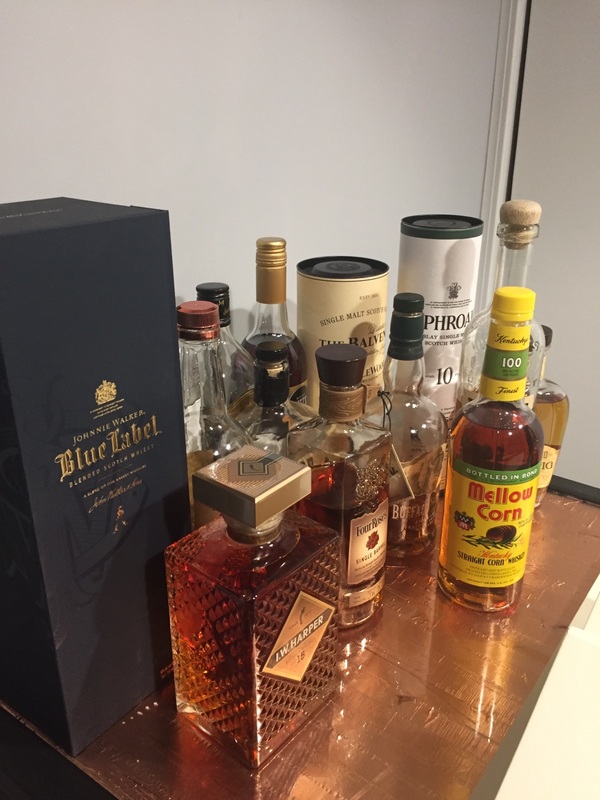 Entire Site Forum: Off-Topic Discussion Thread: Favorite Whiskey? Rival and Revel R|R Rocks 6 Ball Tray - Golf Ball Ice Maker, Cool Blue, 6.75" x 4.5" x 2"